Moving the contents of your home or workplace is an enormous job. There is a lot to arrange and put in order. Though there is a lot to sort when relocating, some of the biggest jobs are the packing and loading of a moving van. It is a huge job ensuring that everything of yours is loaded, safely and securely for the delivery. Nobody wants a broken and damaged load of possessions being delivered to a new address! Hiring a professional and reliable removal company will be a big advantage as these experts will have plenty of practice in this type of work. There is a good choice of removal services about nowadays ranging from a man and van hire to larger moving companies. Though an additional expense it can be worth every penny, just to save time and anxiety. But, if you want to consider doing the work yourself there are some steps you can take to loading a removal vehicle yourself and make sure it is all packed up securely for the transit. When it comes to moving first you will need to get hold of the right size vehicle to suit your needs. It depends on what you are shifting to how big the vehicle has to be. You can call hire centers and ask for advice. You could arrange for them to measure your load and find the correct size vehicle to suit your needs. Most reputable companies will recommend driving and loading tips when hiring an unfamiliar vehicle. Make sure all of your possessions are packed properly beforehand. You need to make sure everything is packaged and protected in boxes carefully. If your things are not packed properly they will almost certainly get damaged on route. The main point to consider when packing your boxes is to make sure that nothing can move about in the box. Cushion and protects with newspaper, polystyrene and bubble wrap to cushion and protect. When items move about in boxes this is when they can break. Label the boxes and furniture too. Writing fragile with a marker pen can help, and arrows stating which way up is a good idea for fragile things. Bear in mind when loading your belongings and furniture onto a van it will be stacked in piles, so it is essential to package appropriately. Make sure furniture, is covered in protective plastic to prevent scratches or damage during the delivery. You will find that many vans have special straps to secure the load for extra safety whilst in motion. Heavy and bulky furniture will need to go on first and secured appropriately. Leave lighter weight boxes and bags until last. Make sure the heavy boxes are all placed on the van first with the heavy items. Medium sized items next, strap with rope for added security. Strap down and cover and protect with blankets accordingly. Take care to make certain nothing wobbles, as you go. Softer unbreakable things can help prevent movement of bigger things. Delicate glass, pictures and fragile ornaments, really need to be taken care of and left until last if possible. Then protected carefully with straps to guarantee no moving about whilst being delivered which will cause breakages. You can find out a lot of helpful hints in home and living magazines and online. There is a wealth of information to make life easier available nowadays especially on the internet. Many helpful websites have some easy steps to follow to make moving a little less stressful. It is also good when you are on a budget and need to do a job yourself. • Make a list not only a moving one, but of everything that you own. Lots of people will make a list of all the big items that they own and yet they miss out the smaller items such as lamps, small tables, footstools etc. that should be counted and may even be fragile. A removal company will want to know practically everything you have in order to assess the size of the van or large vehicle that they need to be bringing along for your move. Putting everything down on paper not only makes it easier for the removal company, but for yourself as well because it means going into your new place having everything timely and in good order. • Find out when you are actually required to vacate your current premises. You can often get caught out in this because your current landlord can have given you a duration vacating period from when you gave in your notice and then your new place isn’t ready. If you find yourself ever in this situation, the moving company will be able to give you a storage facility that is able to keep all your belongings safely in a locker (if they are small) or a large container, if there are things like a dining table set, sofas and beds. This gives you incredible peace of mind because there is nothing more stressful to wake up and think that you have to leave a place by the 15th and you cannot move into the new place by the 27th, with all your stuff in tow with nowhere to be kept! • Removal and storage companies offering this incredible 2 in 1 service which also typically makes them very adept at moving furniture. Whilst every single removal company are great at moving things to a new premise, they may not always be great at moving furniture. Sounds odd, you may think however a lot of people move without much furniture as the trend for serviced houses as well as offices is increasing. Inquire about the team’s ability to be able to handle heavy and fragile furniture including glassware which is most prone to breakage, tears, and chips and shattering. If you have any Antiques in your house, the company should be vigilant and careful enough to be able to lift and transport them with relatively no damage in transit. • Figure out the rates that this company charges, especially if you require storage. A lot of the times 2 in one removal companies will charge much more affordable rates than normal storage houses, because they offer other services as well. Storage is often by weekly or monthly, however if you do need it longer than that, they are often happy to negotiate a flat rate with you to be able to get you a better deal. Man and Van Removals offers a wide range of service we provide in Hertfordshire. Herts is located immediately to the north of Greater London and is part of the East of England Government Office Region. Much of the county is part of the London commuter belt. To the east of Hertfordshire is Essex, to the west is Buckinghamshire and to the north are Bedfordshire and Cambridgeshire. 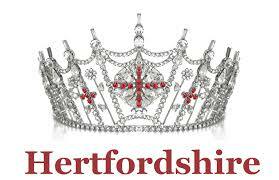 As a part of the East of England region, the county of Hertfordshire is both a ceremonial and Non-Metropolitan county. The county covers a total area of 1, 643km2 and is home to approximately 1, 119, 800 inhabitants. Hertfordshire borders Greater London, Buckinghamshire, Cambridgeshire and Bedfordshire. The main town within the County of Hertfordshire is Hertford, which is also the area’s county town. In the county’s emblem, there are a total of three dears pictured – one is on the shield and then the other two are on either side of the shield and appear to be holding it. It is coincidental that the Hertfordshire emblem has dears on it, as the name Hertfordshire was taken from the Anglo-Saxon word ‘heort ford’ which means dear crossing. The first mention of Hertfordshire was in 1011 in the Anglo-Saxon Chronicle. It is thought that Hertfordshire has been inhabited by humans since the times of the Middle Stone Ages. Throughout the years Hertfordshire expanded and developed quite a lot. By the time of the early 20th century, Hertfordshire’s population had increased dramatically as a result of it being conveniently close to England’s capital city of London. It was mainly after the industrial revolution that Hertfordshire really began to grow and the population soared dramatically. During the year of 1903, the town of Stevenage redeveloped under the New Towns Act 1946 and was the first town to do so. In the same year, the town of Letchworth was announced as the first garden city in the world. For around sixty years, between the 1920’s and 1980’s, Hertfordshire was home to one of the country’s well known and most popular TV filming studios. The filming studios were based in the town of Borehamwood, one of which was the MGM-British Studios and was where many popular films were made. The 1996 James Bond film ‘Golden Eye’ was filmed here, as were other films and television programs including: The Harry Potter sequel, The UK’s Big Brother, Who Wants to be a Millionaire, Eastenders and the first of the three Star Wars films. Whether it is relocating office or home, moving is a hectic process and utilizes a lot of your time. However, removal companies make your moving experience hassle-free and save considerable time. This is one of the major reasons behind people to hire skilled professionals from moving businesses for a smooth new house purchase. London removals, any removal company inside london offers a wide range of new house purchase and storage providers for a quick and successful move. Several people have had a good moving experience with London Moving during the past. Highly qualified professionals from London removals offered their best services to ensure that buyers were satisfied. Here are a few moving experiences contributed by people, which hired London Removals. Marry; who moved locally in London claims she is more than satisfied with the kind of services offered by London Removals. With a telephonic conversation with one of the transferring professionals before hiring these people, it could be easily evaluated that they were friendly of course. One of the interesting areas of hiring London Moving is that the professional changers showed up on time. Marry says that the staff were extremely supportive and made relocating hassle free by utilizing know-how knowledge and knowledge. Marry believes that by hiring London Moving, she has done a great job. The moving specialists were very hard operating and did packing with utmost exactness. Removal London workers was polite, skilled and committed. That they handled packing meticulously and ensured that goods were removed safely from the property. By hiring Removal Services London the entire shift was made easy. Get married to found the staff to be highly competent and trustworthy. It helped with the entire moving course of action well, she states. The moving professionals managed the most delicate possessions like cups, cups and plates produced from porcelain with maximum care. It is not only Get married but other people similar to John, Mike and Kate who say that it can be worth hiring Birmingham Removals for a hassle free and smooth move. Mike found the actual movers to be extremely helpful. He says that he is at dilemma as to what happens to the moving process, since it was snowing on the moving day time. Snow covered yard and extreme cold temperatures conditions added to his or her moving woes. Paul says that by employing movers from AV Removals the job was made easy. Before beginning the particular moving process, the particular movers did an excellent job of shovelling his driveway and then began work. When looking for a man and van hire company to move house, office or just a few items, people always expect the highest level of service. This includes confidentiality, a rapid response during quotations and a high expectation of safety. Luckily here at AV Removals, we take all of these into account when quoting our customers on their man and van service prices. However, what many do not appreciate is all the man and van companies trading within the transport industry must abide by strict rules and guidelines regarding driver safety and conduct. It is a tough job for them to meet the customer expectation within the limits of the law. The custom experience of man and van hire companies is often limited to seeing their items packed and loaded into a vehicle at one place, before being uploaded at another after being transported and possible stored. One thing that many customers do not appreciate is the hard work and planning, from many different people, which goes on behind the scenes to create a smooth man and van service for everyone. While it is possible for the normal ‘man owning a van on the street’ to load all the goods himself and drive without a break to the next destination, regardless of how far away it is or how long it takes, this is obviously a clear way of transporting good that leaves itself open to a vast amount of problems. Using a professional man and van company to handle your requirements may be more expensive that running the show yourself. However, to gain peace of mind that your goods are in good professional hands, delivered safely and on time, hiring a man and van company is the best solution. AV Removals Man and Van London based services believe in educating clients about every stage of each move and what exactly is needed. When you hire a man and van service you may want us to do the packing for you – or you may pack yourself up before we come. If you live in London (and even if you dont) you are probably short of time. Thats why we offer to courier your boxes to you in advance of your move. Leaving you time to get packed. The important thing is to remember not too put too much in one box. If our men cant lift them it will be a painful process to re-pack. Also make sure you get double skinned boxes – these can take the strain of slightly heavier loads. Label everything so our men can put your items in the right place at your new home and dont forget to add the FRAGILE label so they can stack the items appropriately. The move teams london man and van and removal service have years of experience of packing and moving so if you need any tips just give us a call or drop us an email. When the men arrive on the day they can be of even further assistance to you.